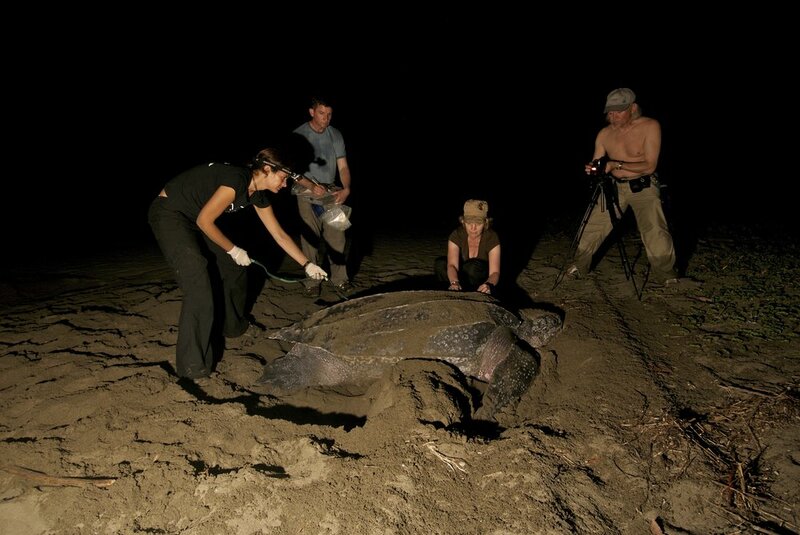 Join a unique volunteer trip to Costa Rica to work with giant leatherback sea turtles with SEE Turtles. 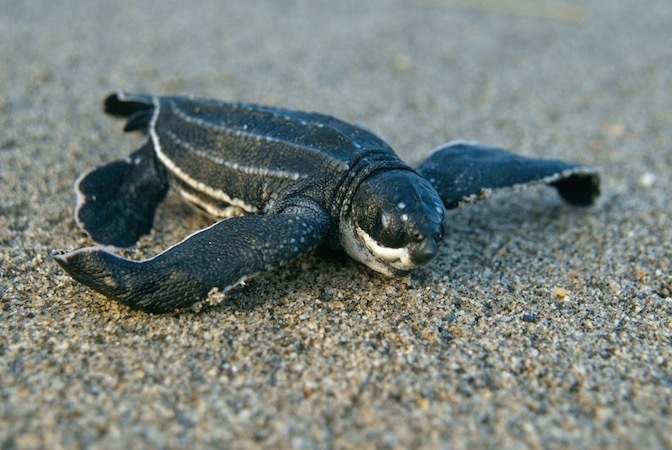 The leatherback is one of nature’s truly unique creatures. Their immense size boggles the mind; these turtles can average more than 6 feet long and 800 lbs. But that’s not the only thing that makes them unique. Their softer shell allows them to dive deeper than any other sea turtle and their size and dark color allows them to inhabit cold waters. The leatherback has had an impressive recovery over the past decade but human activities like consumption of their eggs and getting caught in fishing gear continue to threaten these extraordinary reptiles. On this trip, you’ll spend 4 nights working with leatherbacks at a research station along Costa Rica’s northern Caribbean coast. The work includes walking the nesting beach at night, helping to measure the turtles, collect the eggs and move them to hatcheries, and working with hatchlings (later in the season). 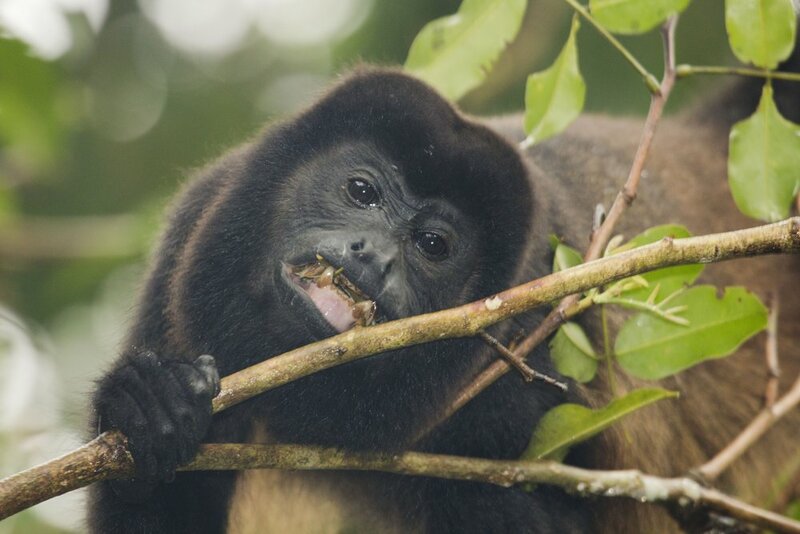 Spend the downtime hanging out on the beach or in a hammock, helping clean the beach, or looking for wildlife like monkeys, sloths, butterflies, birds, and more. This trip is open to individuals and small groups. Profits from this trip will help save 500 hatchlings per participant at a nesting beach. 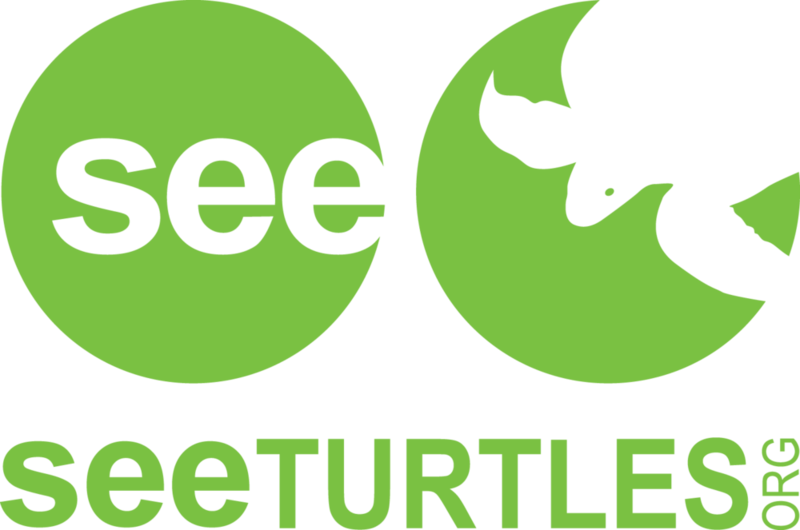 Includes: In-country transport, meals, lodging, activities, guides, and a donation to turtle conservation. Excludes: Airfare to Costa Rica, personal items, and tips for the guides. Private dates available for groups of 2 or more March through June and the itinerary can be customized to fit your group's needs. Minimum recommended age is 8 years old, under 18 needs to be accompanied by an adult. Group size is limited to 12 people maximum. Call us at 800-215-0378 to register by phone. Day 2: Head to the Las Tortugas Turtle Research Station in a private vehicle. Night 2: First night patrol on the turtle nesting beach to look for leatherbacks. 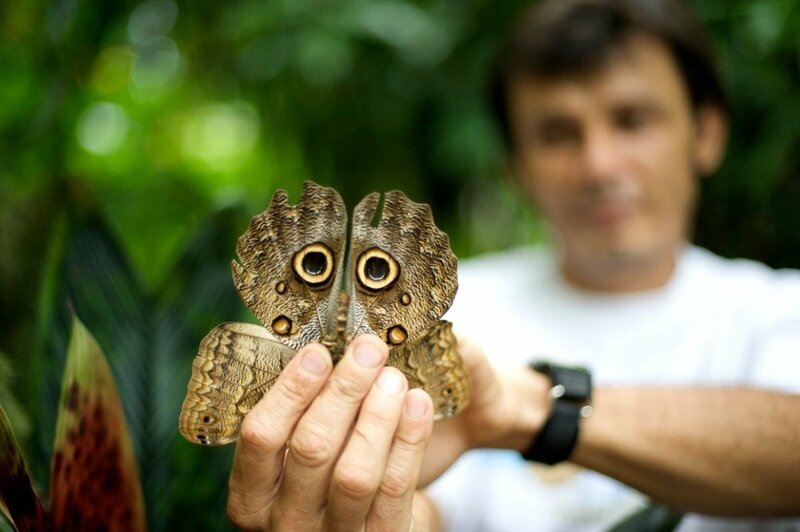 Today you will head out to the Caribbean coast to stay at a remote research station in the rainforest. First, wake up with a delicious Costa Rica breakfast buffet of eggs, gallo pinto (their famous breakfast rice and beans), fresh tropical fruit, delicious coffee, and more. After breakfast, board the private bus for a 4 hour ride to the Caribbean coast. 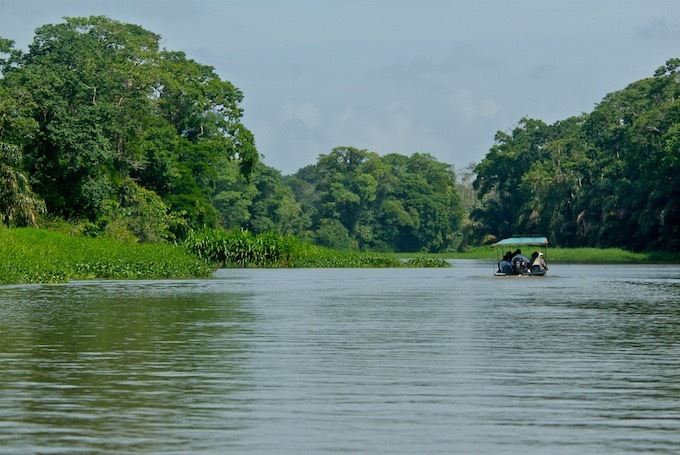 You’ll pass through the country’s largest national park and then descend to the Caribbean lowlands. Please note: The station is fairly remote and isolated. The rooms are very basic and volunteers are expected to participate in cleaning up dishes after meals. The station has limited electricity, no hot water, and no internet. Bathrooms are basic and semi-private (shared between two rooms). Meals are simple and often include a meat like chicken or beef along with rice and beans, cabbage salad, and plantains. 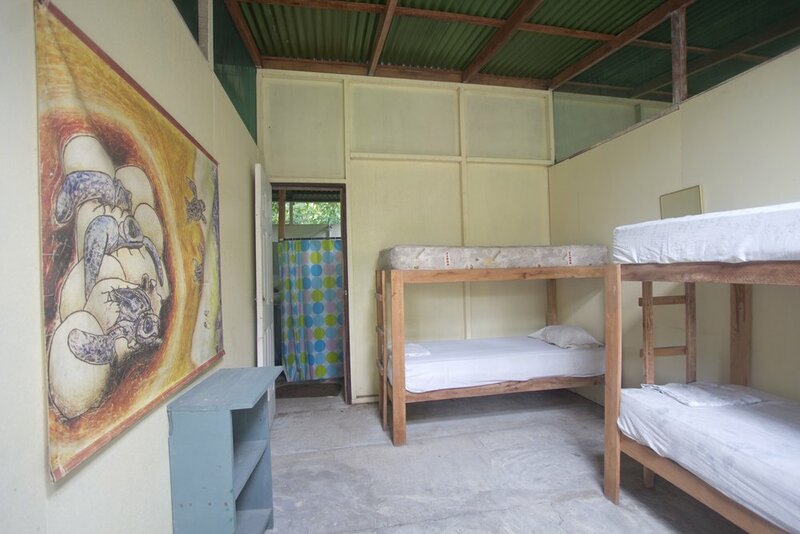 The station is in the rainforest, which can mean insects in the rooms (mosquito nets are provided). 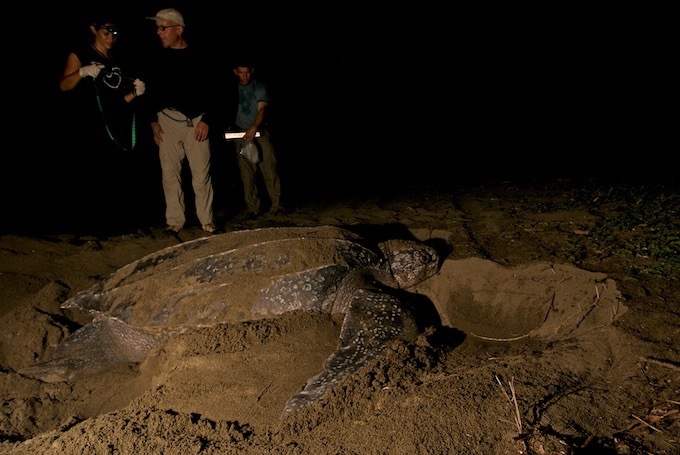 For the next three nights, you will spend four hours each night walking the nesting beach in search of the giant leatherbacks. Years of hard work protecting these turtles has resulted in increases in nests in the Caribbean and the leatherback was downlisted from critically endangered to vulnerable in 2013. But despite this success, their numbers are still declining and protecting their nesting beaches is vital to their long-term survival. 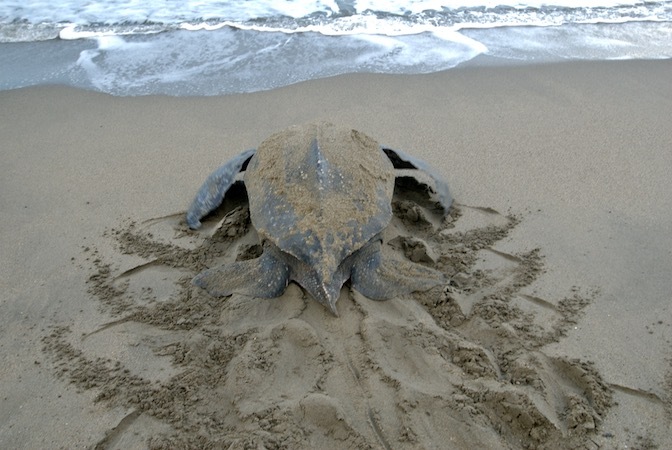 The first thing you notice when a leatherback is nesting is their giant tracks, which look like a monster truck has driven up the beach. Tasks involved in the research include measuring the turtles’ length and width (no small task with a giant turtle! 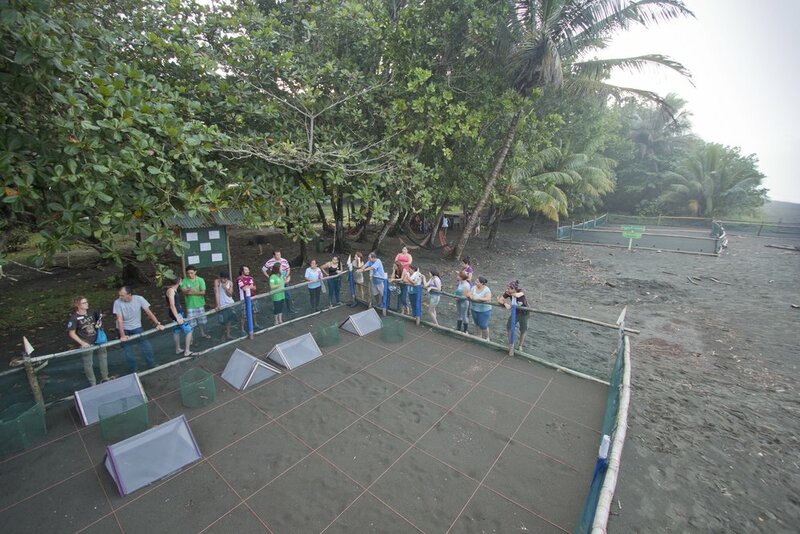 ), moving the eggs to a hatchery (where they are protected until hatching), and observing the condition of the turtles, looking for scars or injuries. From mid-May to June, you will have a chance to work with hatchlings, helping to do some basic research (measuring and weighing) and releasing them to the water. Green turtles also occasionally nest late in the season. "A well-run and unforgettable trip! For any one who is looking to make a difference in conservation, explore a new culture, and/or go on an adventure in the process, then this trip is for you." 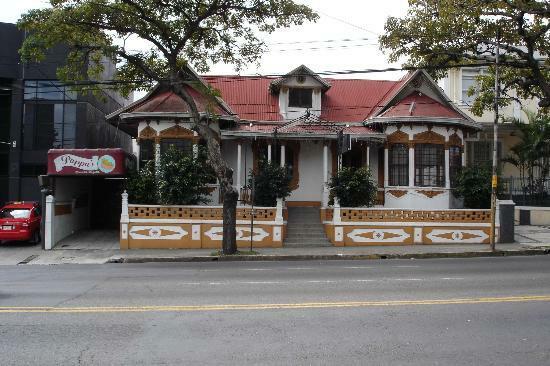 - Noelle R.
Costa Rica is a safe and beautiful country that receives more than 1 million international tourists annually. This trip goes off the beaten path for 4 nights at the rustic and remote Las Tortugas Research Station. This is an active trip that requires a level of physical fitness and an ability to manage sometimes challenging conditions including weather and heat, bugs, and a schedule that can affect sleeping patterns. Electricity at the station is limited (solar panels) which means no air conditioning or hot water, there is no access to wifi or cell phone service, and meals are simple and basic and vegetarians can be accommodated.